In 1964, the Finnish designer Oiva Toika created the romantic Kastehelmi decoration of morning dewdrops in concentric rings. Today, the iconic Kastehelmi Dewdrop is available in a variety of stunning colours and products, such as tumblers, jars, votive, etc. 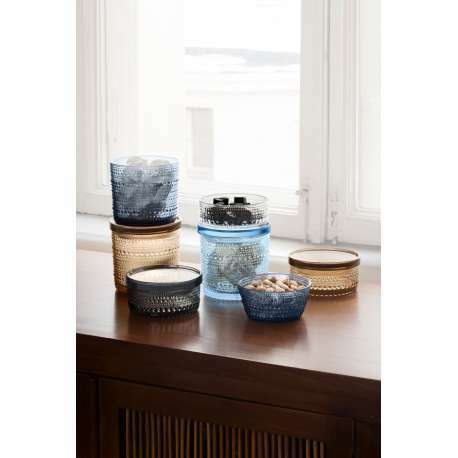 You can use the Kastehelmi jar for storing small items, candies or as serving dish. 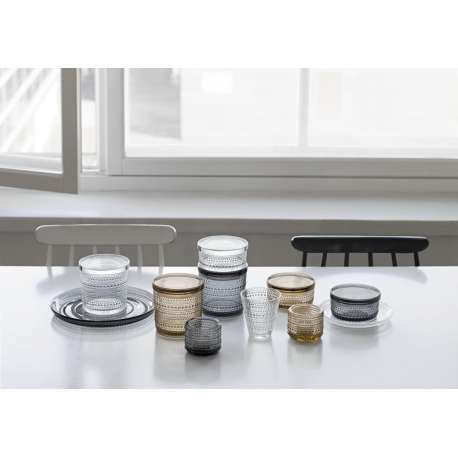 The glass jar is dishwasher safe, the plastic lid can be handwashed. 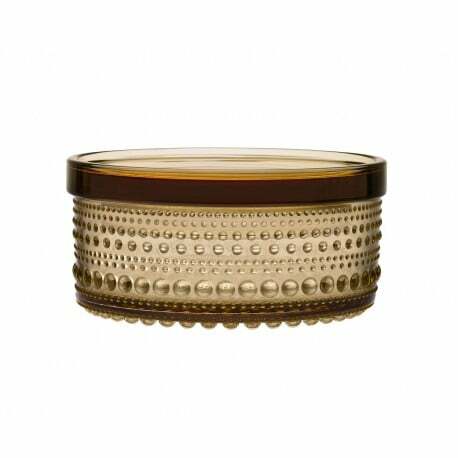 Designcollectors offers you this elegant jar (116 x 57 mm) in timeless grey and warm desert. Also available in a larger version.